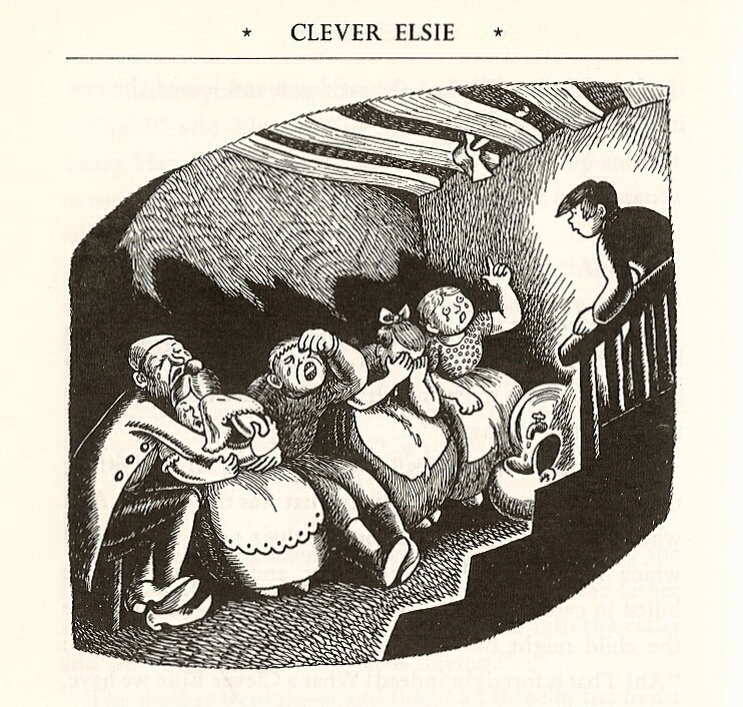 For anyone who has never quite got the Brothers Grimm, or never heard their 'Märchen' (household tales) at a young age, here’s a great description of what they've been missing. 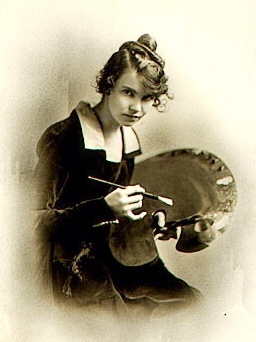 These are the memories of Wanda Gág, an artist and writer who grew up in Minnesota at the end of the 19th century. 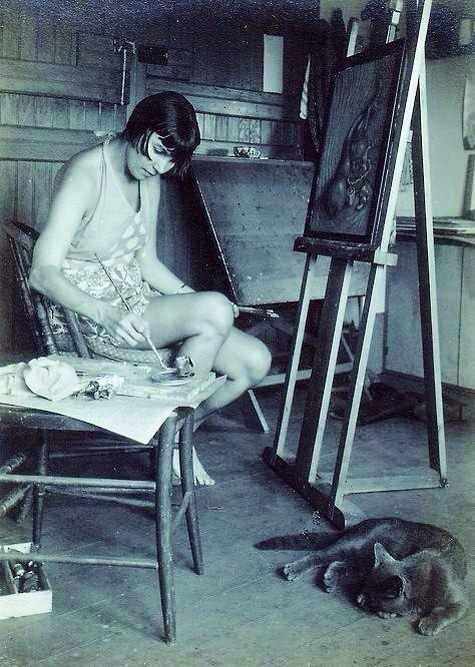 She went on to create a series of classic children's books including Millions of Cats, the oldest American picture book still in print. 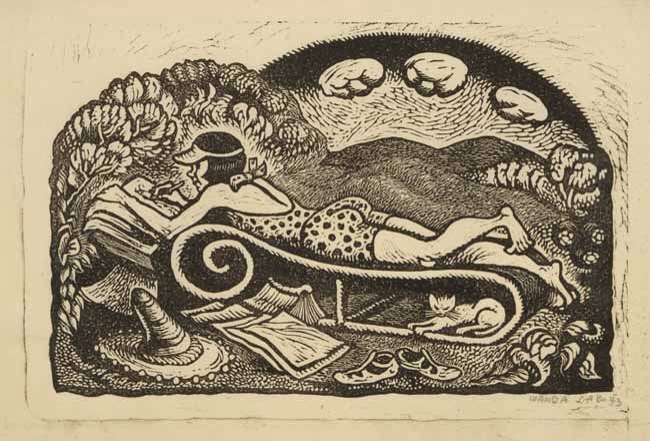 She also published diaries, and wrote beautifully crisp introductions to books like Tales from Grimm. I can't really improve on her prose, so I'll let Wanda tell her story. It's hard to imagine a more suitable environment in which to hear these tales. But Gág's life took a positively Grimm turn when her father died, leaving 15 year old Wanda the breadwinner. Wanda managed this with gusto and more than a little style, attending art school in New York, landing lucrative advertising work and generally swanning around like a kidslit Louise Brooks. By 1936, aged 43, Wanda had moved out to All Creation, a farm in rural New Jersey. It was here that she reconnected with Grimm, producing drawings for Hansel and Gretel. 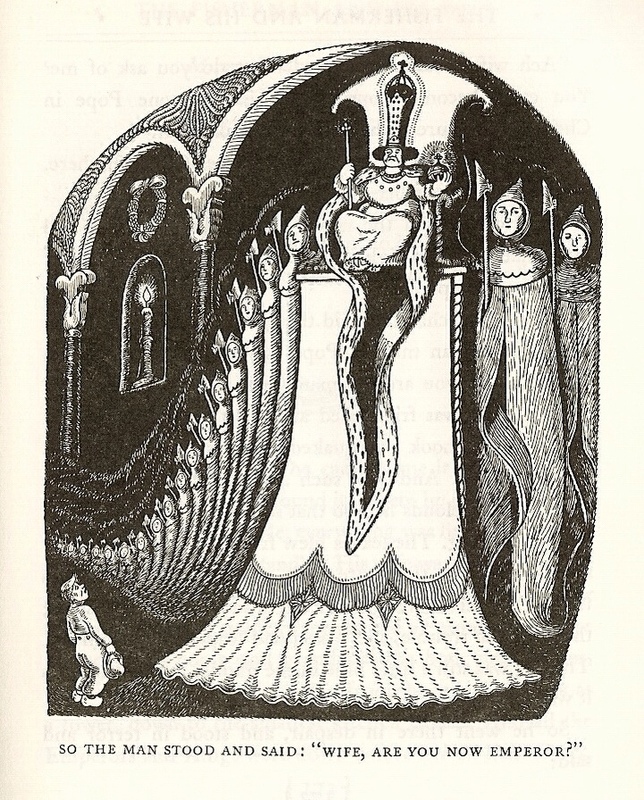 I think Gág is probably unique in having both illustrated and translated Grimm into English. I doubt anyone has done either better. She just gets it. 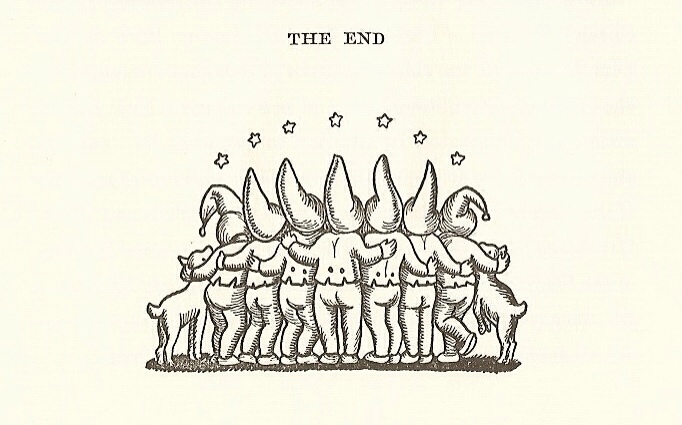 The joy of the Brothers Grimm is that, unless you've made a scholarly effort to read through every one of their 200 or so tales, you keep coming across new ones. 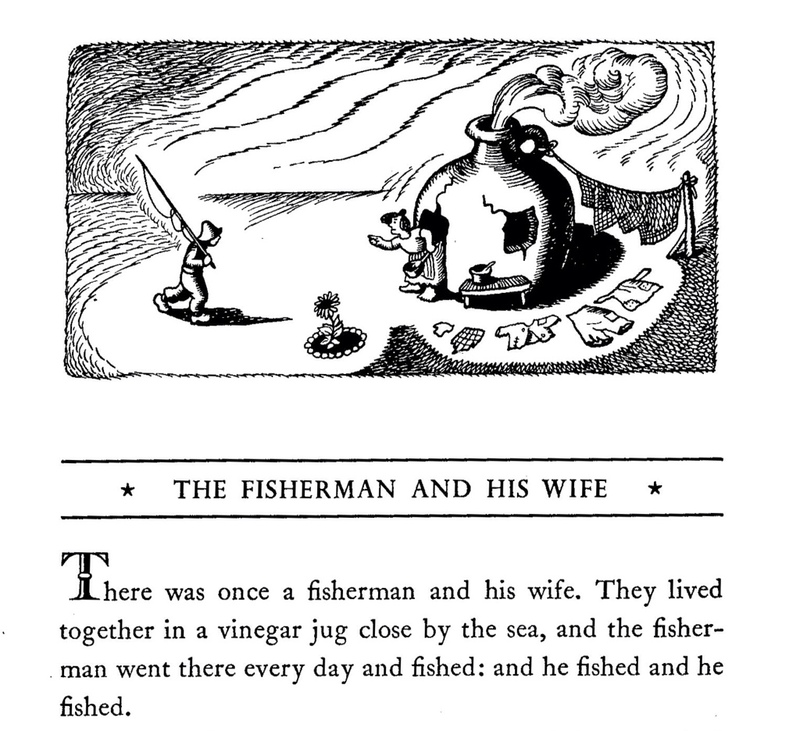 In her first volume, Tales from Grimm, Wanda Gág offers up The Fisherman and his Wife, a tale which I faintly remember from childhood, and was thrilled to rediscover. It's deeply satirical in its intent, telling the story of a poor couple whose lives are transformed when the husband snags a magical golden flounder. 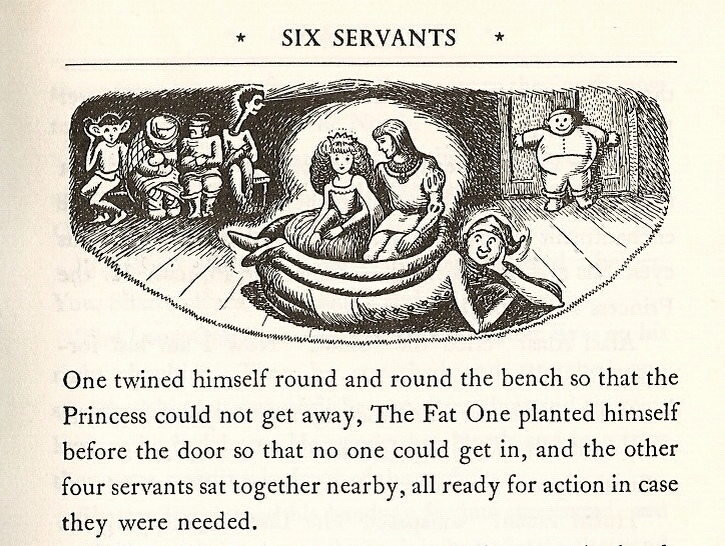 The enchanted prince provides them escape from their vinegar jar home and with the wife making a rapid ascent up the social scale, all the way from pauper to pope. 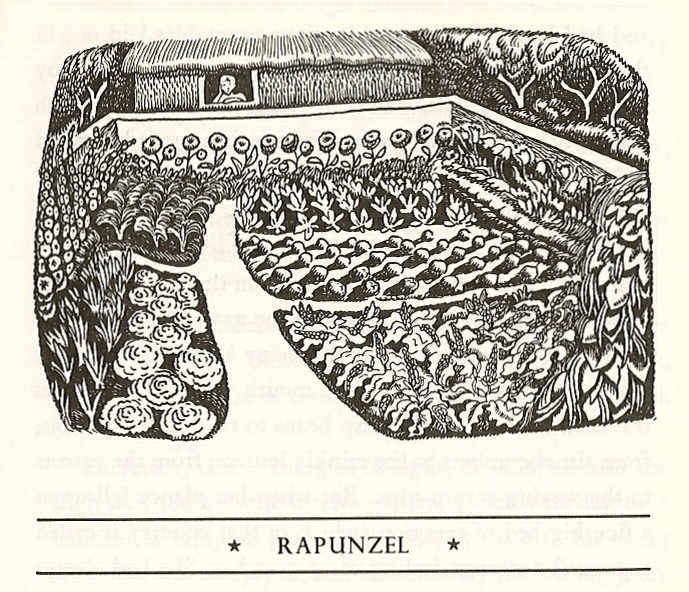 The Grimm tales were deeply unfashionable at the time of writing. Popular educational theory dictated that children should be reading realistic stories. There's a sense here that Gág is working hard to save some of these stories from obscurity. Six Servants is a particular labour of love, and a loose translation which trims much of the superfluous material and anticlimactic ending. Despite the very familiar scenario of a prince challenging a witch for a princess's hand in marriage, it's utterly surprising. On his journey the prince encounters a cast of six proper mutants who prefigure the X-Men by a couple of hundred years. Among them are The Looker, with his super sight, The Listener with awesome ears, Shatter Eyes, with his deadly bandaged peepers and Frosty Hot who can enter an inferno and still come out shivering. 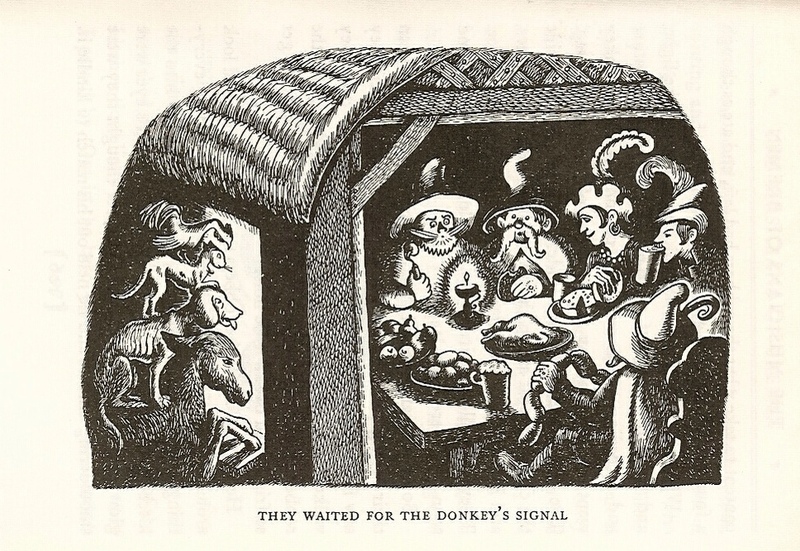 Gág's influence can be seen all over the place, notably in Maurice Sendak and Dr. Seuss and latterly in Carson Ellis and Jim Woodring. She marries an accessible cartoon quality with deep noirish shades that suit the Grimm tales perfectly. In 1938 Walt Disney released Snow White and the Seven Dwarfs. Wanda wasn't impressed, calling it 'trivialised, sterilised, and sentimentalised'. 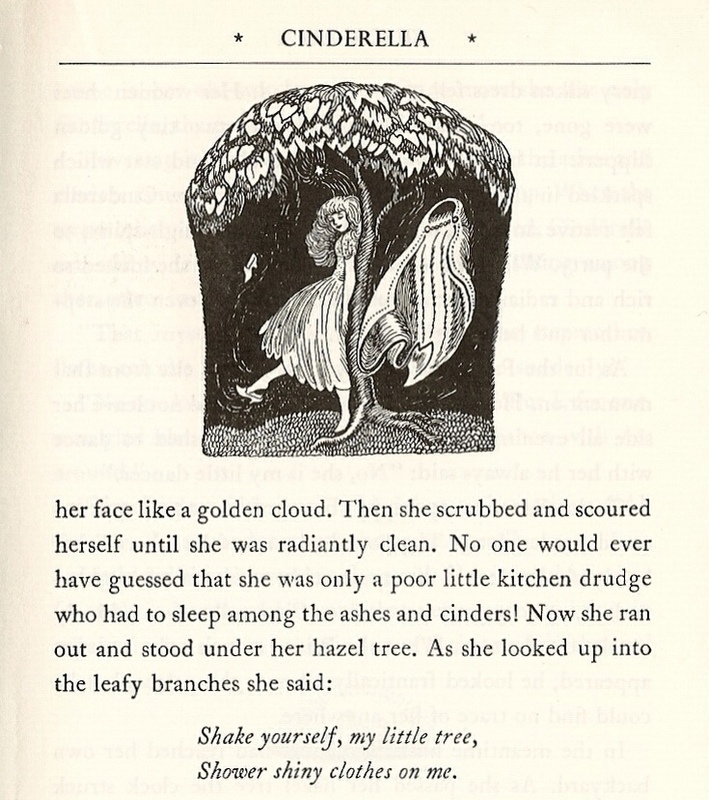 In reply she created her own version, arguably the definitive retelling of the famous tale. It's hugely witty and deeply disturbing in equal measure. 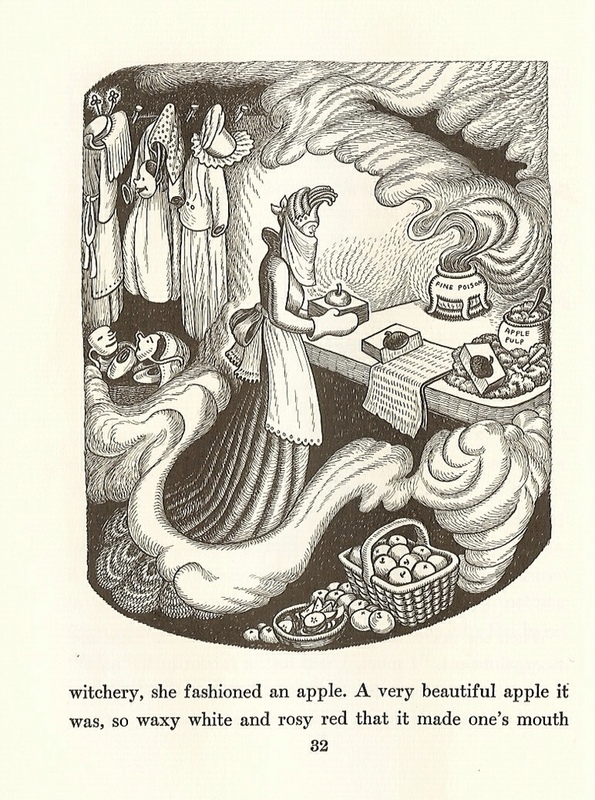 The image of the wicked queen preparing her poisoned apple, face covered with a cloth and a box full of disguises at the ready, is fit for any serial killer movie. The details are sublime – especially in the Dwarfs house, which viewers of the film will remember as being a right state until the little house-maker comes to stay. 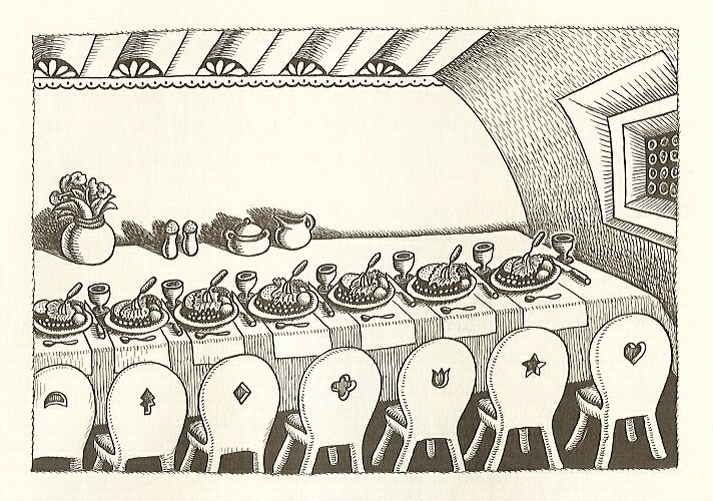 Here the opposite applies – they are practically OCD with their neatly laid table and perfectly turned down sheets. Snow White arrives, Goldilocks-like, and messes up all of their beds before finding the right one for a snooze. What makes Wanda Gág's Grimm so successful is the marriage of an anarchic sense of humour with amazing attention to detail. It's something that can probably be traced back to her becoming breadwinner to a large family at the age of 15, and is present in everything she did, even the glossary. 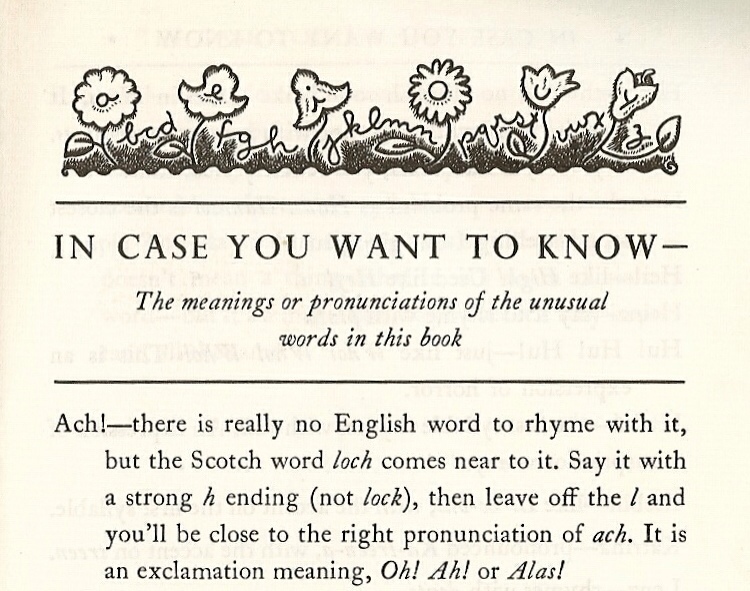 And who couldn't fall in love with a book that seeks to explain with a straight face the meaning of words like Ach! Ei, Ei! and Hula!? Tags: Cinderella, grimm, Rapunzel, The Fisherman and his Wife, The Six Servants, Wanda Gag. Bookmark the permalink. 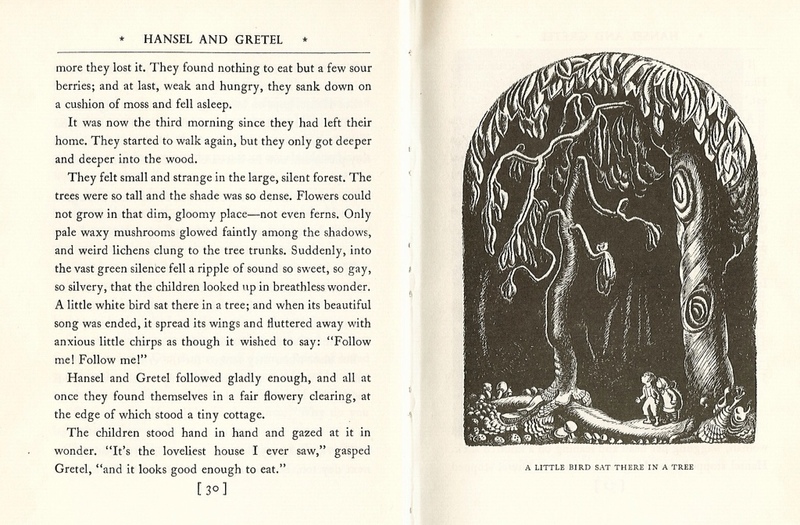 Would love to find this book, the illustrations are absolutely beautiful. I love the old world black and white and texture too!